Illinois Gunman Opened Fire When He Learned He Would Lose His Job, Police Say Shooter Gary Montez Martin, 45, wasn't legally allowed to own a gun, police say. But he never complied with a demand to relinquish his firearms. Police officers respond to a shooting in Aurora, Ill., Friday afternoon. 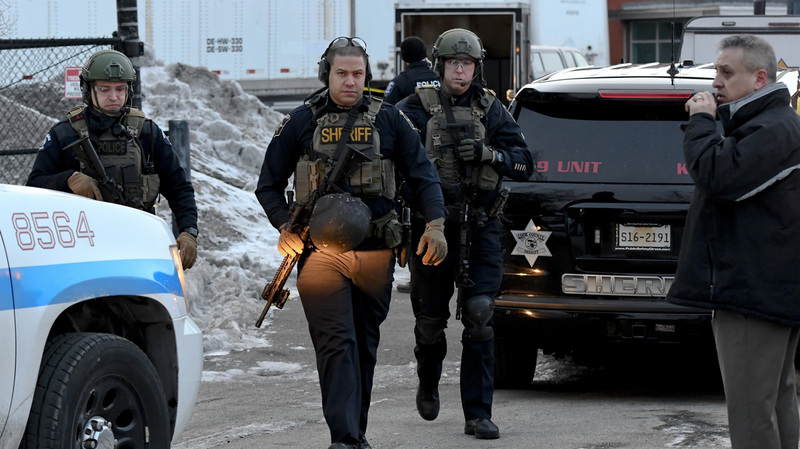 A gunman killed five people, then wounded five police officers in a firefight. 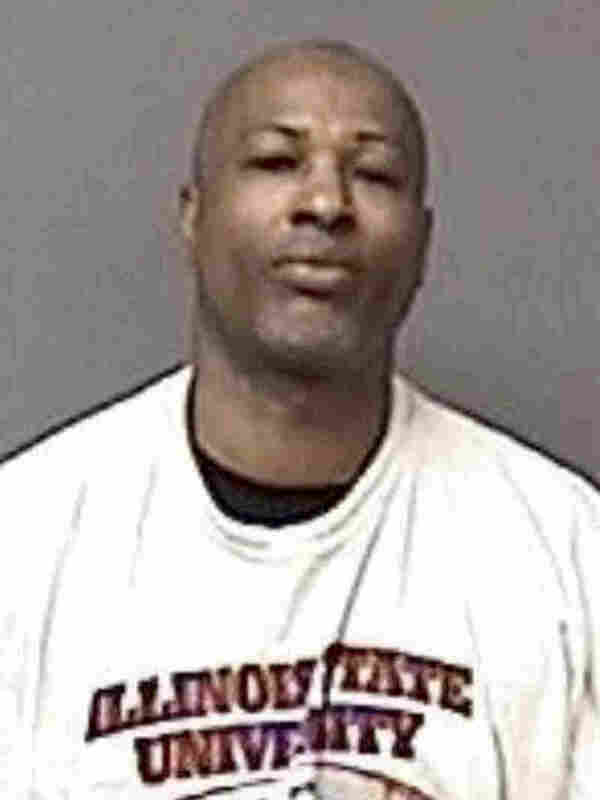 The gunman who killed five people in Aurora, Ill., and wounded five police officers started shooting after learning he was being fired, police said on Saturday. Police in Aurora identified the shooter as Gary Montez Martin, a 45-year-old man who had been arrested six times in Aurora, including for "domestic violence related issues." Police chief Kristen Ziman said investigators were reviewing how Martin — who was killed after exchanging gunfire with police — obtained the gun he used, but said, "Absolutely he was not supposed to be in possession of a firearm." Police also named the victims killed in the shooting, which took place at a warehouse for the Henry Pratt Company, a valve manufacturer. They are Clayton Parks, who worked in human resources; Trevor Wehner, a human resources intern and student at Northern Illinois University; Russell Beyer, a mold operator; Vicente Juarez, a stock room attendant and forklift operator; and Josh Pinkard, the company's plant manager. Three of those killed were in the meeting with Martin on Friday when he was told he would be fired, according to Ziman. The 15-year Henry Pratt employee shot all five people within a five-minute span, police said. Gunman Kills 5, Wounds At Least 5 More At Industrial Facility In Aurora, Ill.
One other person was being treated for gunshot wounds that weren't considered life-threatening. Aurora police also gave more information about the officers wounded in the gunfight that killed the shooter about an hour-and-a-half after he began shooting. Two officers were in stable condition, two had already been released from the hospital, and one was expected to be released later Saturday. Another officer suffered minor wounds that weren't from gunfire. Illinois authorities sent shooter Gary Montez Martin, 45, a letter telling him to relinquish any firearms. It is not clear if they followed up. To own a gun, Illinois residents are required to have a Firearms Owners' Identification, or FOID, card issued by the state. Martin had legally obtained a FOID card in January 2014 and bought a Smith & Wesson .40-caliber handgun in March of that year, police said. Days after buying the gun, he applied for a conceal-carry permit. Police discovered a 1995 conviction for felony aggravated assault in Mississippi — an offense they said might not have turned up on the background check necessary for a FOID card. Police revoked his FOID card and sent him a letter telling him to relinquish any firearms. Ziman said police records show that the letter was sent, but she doesn't know whether police attempted to follow up. Several vigils in honor of the victims are planned. One of them, called "Aurora Strong," is scheduled for Monday afternoon, three days to the minute after Martin started shooting. As of Saturday afternoon, people had also donated hundreds of dollars to a fundraiser earmarked for funeral costs for the five Henry Pratt employees.